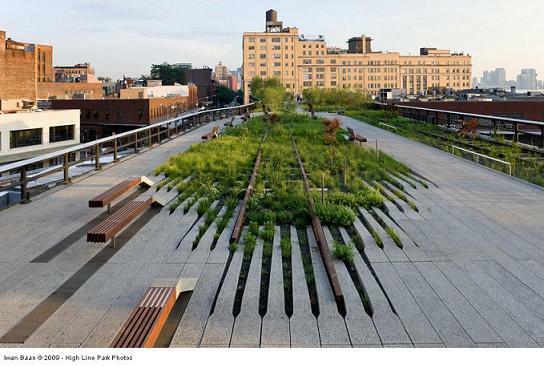 «Taking the High Line: the art park that rivals MoMA»(1), «Life-enhancer of the year: The High Line»(2), «Miracle Above Manhattan»(3)… Here are few echoes of what has been and still is one of the most exciting, ambitious and trendy architectural and cultural urban projects of the decade. 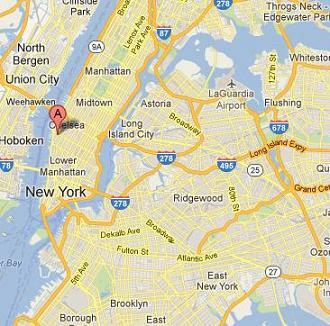 Set in downtown, New York City, the High Line Park is a story of preservation and perseverance. 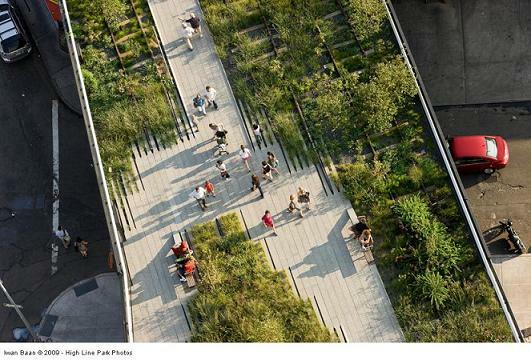 Based on ancient elevated tracks built in 1929 and abandoned in 1980, the structure was saved from demolition and transformed into a 1 mile vanguard public park thanks to the constitution of the Friends of the High Line (FHL), below described. Unlike other parks, the High Line was thought and designed as a growing nest for the arts, a conceptual journey through temporary exhibition espousing the trail from seasons to seasons, apart from turmoil of the city that never sleeps. The so-called program “High Line Art” was founded in 2009 and “commissions and produces public art projects on and around the High Line” as explained on its website that displays continuous array of multidisciplinary cultural events. As usual, the project comes along with private sponsors, among which the powerful Rockefeller Foundation, and demonstrate the great ability that anglo-saxon countries developed in matter of fundraising for centuries. But the originality here lies in the brilliant collaboration between private and public sphere, managing a complex but fascinating public space on a dual basis. On one hand, the High Line complex is owned by the City of New York and placed under the jurisdiction of the Department of Parks and Recreation as its nature changed from a transportation area into a public park. On the other hand, the Friends of the High Line is a non-profit organization that “provide over 70 percent of the High Line’s annual operating budget and (are) responsible for maintenance of the park, pursuant to a license agreement with the New York City Department of Parks & Recreation»(4). Thus, before being an artistic and urban venture, the High Line was a juridical battle against demolition. As precised in the Citylimits.org article, «open call for re-use ideas drew 720 proposals from around the world, including tongue-in-cheek plans to turn it into a lap pool or a roller coaster.»(5) The line itself was owned by CSX Corporation, which in 1999 bought all the old Conrail lines east of the Hudson River. Supposed to be demolished, a New York state supreme court judge ruled in 2004 that the city’s Surface Transportation Board’s plans to demolish the High Line, undertaken in violation of ‘lawful procedure,’ must undergo a review process. The war wasn’t over but the first battle won by the FHL. Followed several legal steps to turn back the line in to life. The Surface Transportation Board (STB), the federal body with jurisdiction over the Line’s future, had to grant a Certificate of Interim Trail Use (CITU), permitting the railroad that currently owns the High Line to negotiate a trail use agreement with the City. Besides legal procedures, most of the battle was economic, as the renovation process and while refurbishment was supposed to cost $50,000,000 divided up on four years. The first half of that green miracle came from that shared energy concerning funding the project, sustain by Major Bloomberg for most than half of the expenses, but also thanks to FHL unlimited energy to gather the money beyond any hopes. Big foundations, big names, but also a large array of close neighbors and Gotham lovers that could bring their own little stone through 40$ level-entry contribution(6). The second half of the bet, even more challenging, was to operate the park and turn it into a sustainable project, not only on the environmental side. Allowing unpaid volunteers, donations and liberty of action, the association status of the FHL was the most efficient answer to the high-competitive New York environment. Recent damages caused by Sandy’s hurricane mobilized hundreds of volunteers and proved the fast reactivity of such a community of interest. Unique by its form, the High Line Park is however a management model that is hardly followed by European states. The French loi Sapin(7), which allows private institutions (even associations) to administrate public projects hasn’t been designed for such a purpose regarding cultural affairs as commented by Jean-François Auby in his article: “Initiatives, responsibilities, public-private partnership”: “The idea of putting in competition sometimes bother the actors of the cultural sector because it is not false to consider that the cultural actors established in associations sometimes have no real competitors.”(8) Now reaching more than 2 million visitors a year and durably anchored into the New-York cultural environment, let’s hope that the successful High Line private-public collaboration will spread around not only as a park model (as already done in St. Louis, Chicago and Philadelphia) but more important as a innovative management scheme that allows more flexibility and sustainability within cultural sector. (8) “Initiatives, responsibilities, public-private partnership”, Jean-François Auby, in L’Observatoire des politiques culturelles, N°17, Spring 1999.